Anthony Marciano joined New York University Stern School of Business as a Clinical Professor of Finance in August 2007. Professor Marciano teaches corporate finance courses to M.B.A. students, undergraduates and executives. He has also overseen the Michael Price Student Investment Fund, a student-run fund with a value of about $2 million. Prior to joining NYU Stern, Professor Marciano taught courses on advanced corporate finance and mergers and acquisitions at MIT Sloan School of Management. From 1994-2006, he was a Clinical Professor of Finance at the University of Chicago Graduate School of Business teaching M.B.A. and Executive M.B.A. courses. 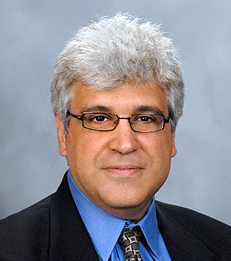 Professor Marciano has been named to BusinessWeek's list of outstanding faculty. Earlier, he worked at Goldman Sachs, Morgan Stanley and Drexel Burnham Lambert. He earned his B.A. in Computer Science from Dartmouth College and his M.B.A. from MIT Sloan School of Management.